Kathy Larson, Frontier’s VP of Sustainability, took another walk through the tallgrass prairie at our Norway, Iowa, headquarters with her camera, and shares her experience and photos with us here. She’ll return again soon to chronicle the prairie’s changes throughout the year. With parades, flags, and fireworks over, it’s a good time to head out to the prairie for a relaxing look at nature’s more lasting glory. A lot has changed since a month ago — everything is taller and more lush. 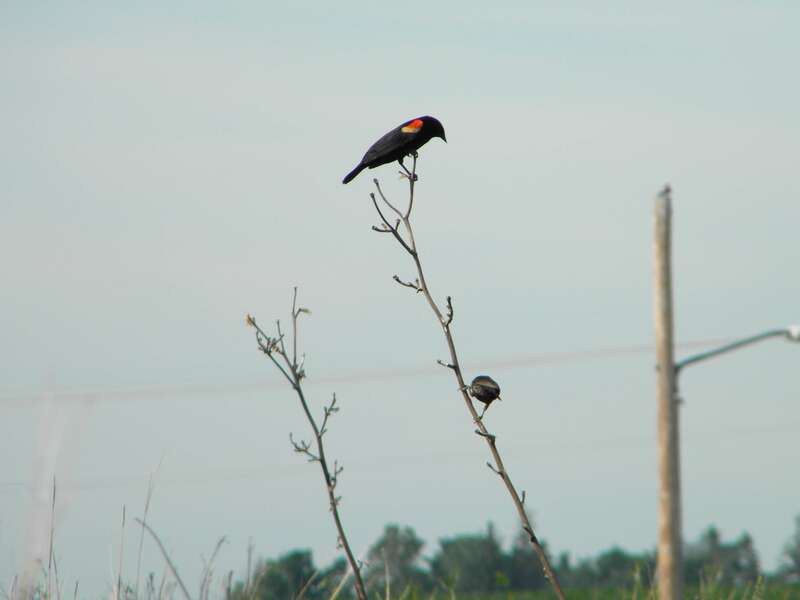 The red-winged blackbirds are as noisy as ever, flying over my head then perching on last year’s sturdy compass plant flower stalks, keeping an eye on me as they guard their hidden nests. A prairie is prime nesting and feeding habitat for these birds, whose diet is about 75% small seeds and grains and 25% small insects — both of which are plentiful here. Both of the species of echinacea in our prairie are starting to bloom. 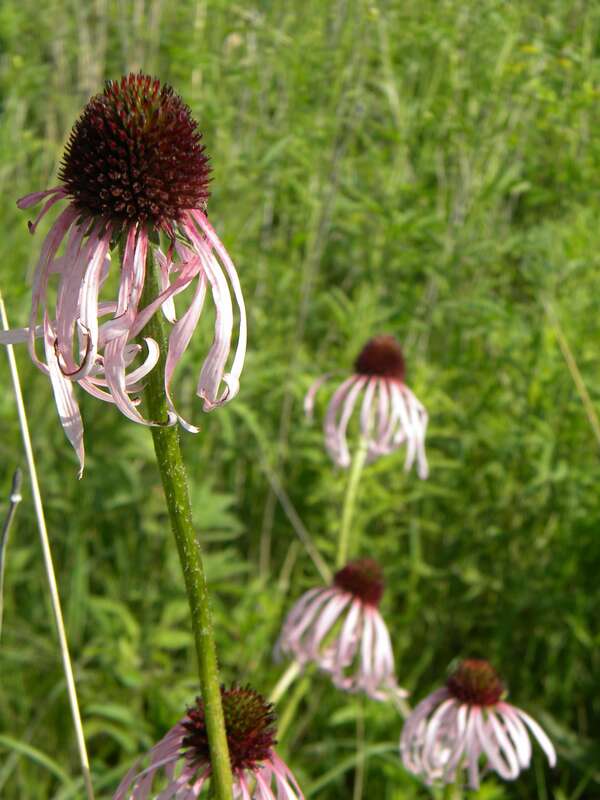 Echinacea pallida has slender pale purple-pink, drooping petals with a conical seed head rising above them. 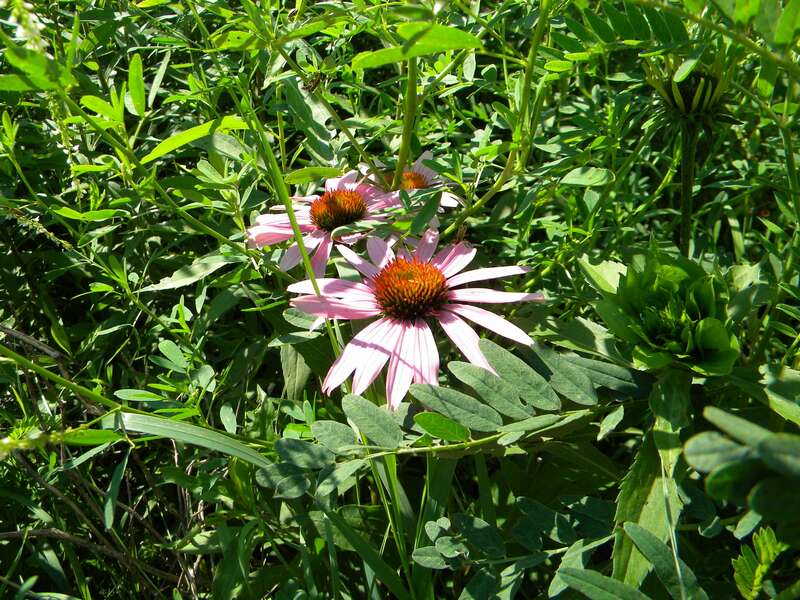 Echinacea purpurea’s light purple flowers are wider and form more of a disc. 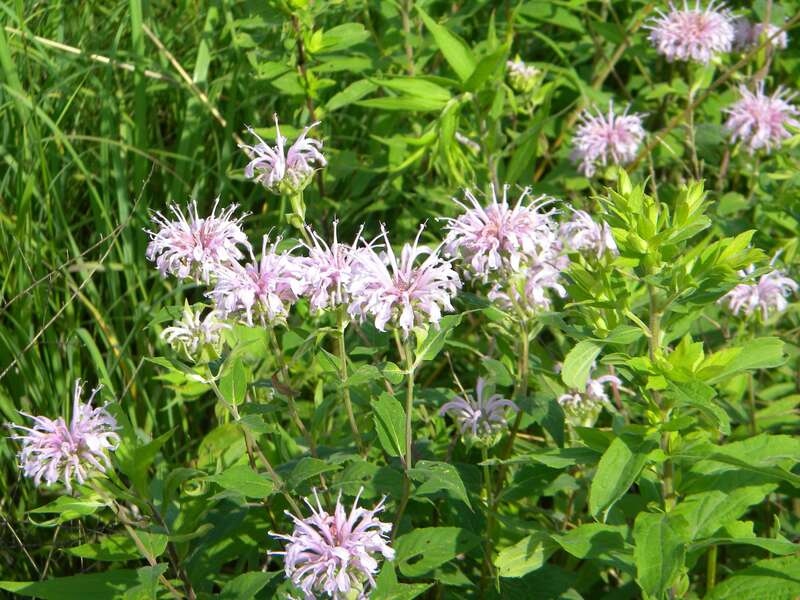 Another purple flower is horsemint (Monarda fistulosa). 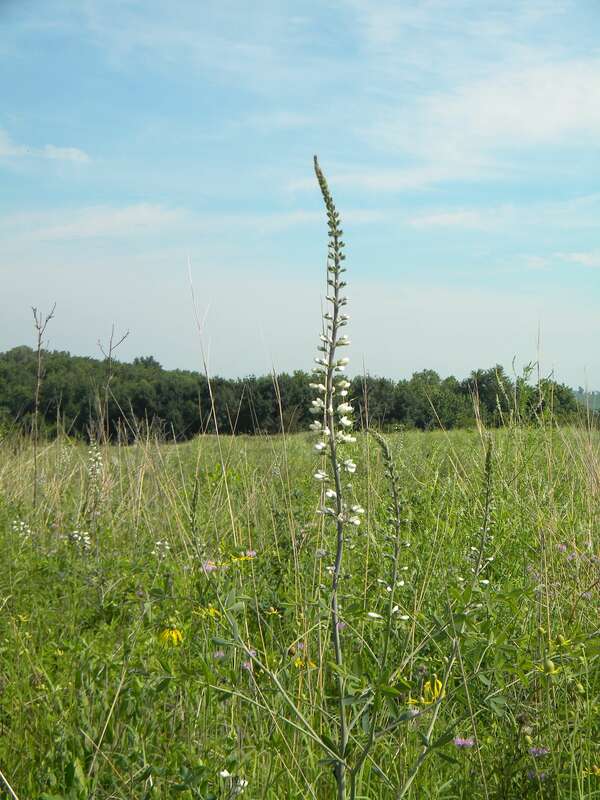 The plants are widespread through the upper parts of the prairie and covered with flower buds. 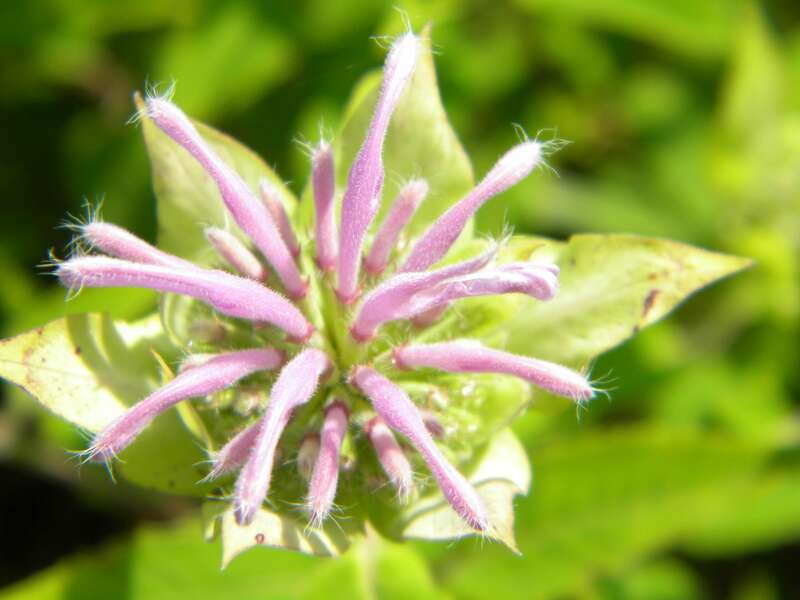 The whole plant has a minty-spicy aroma and flavor. Teas made from horseweed were commonly used as remedies among Midwest native peoples. 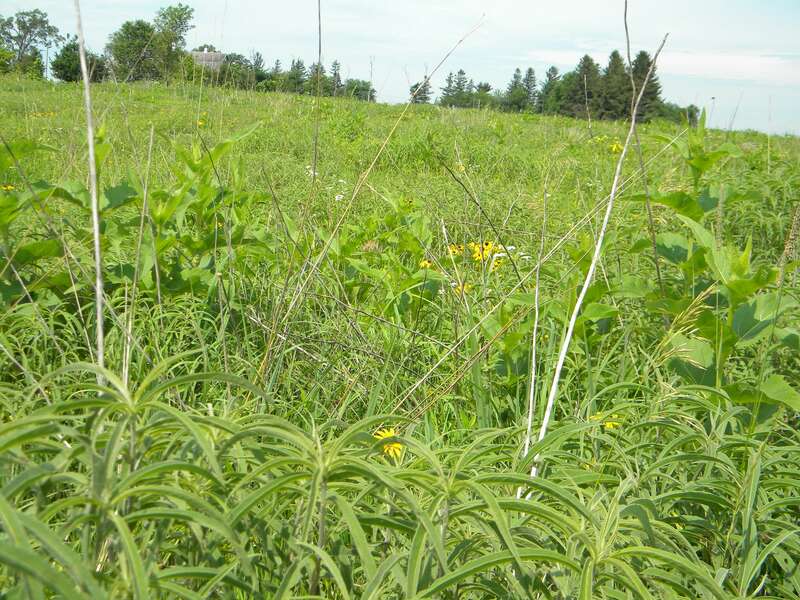 Two milkweeds adorn our prairie. 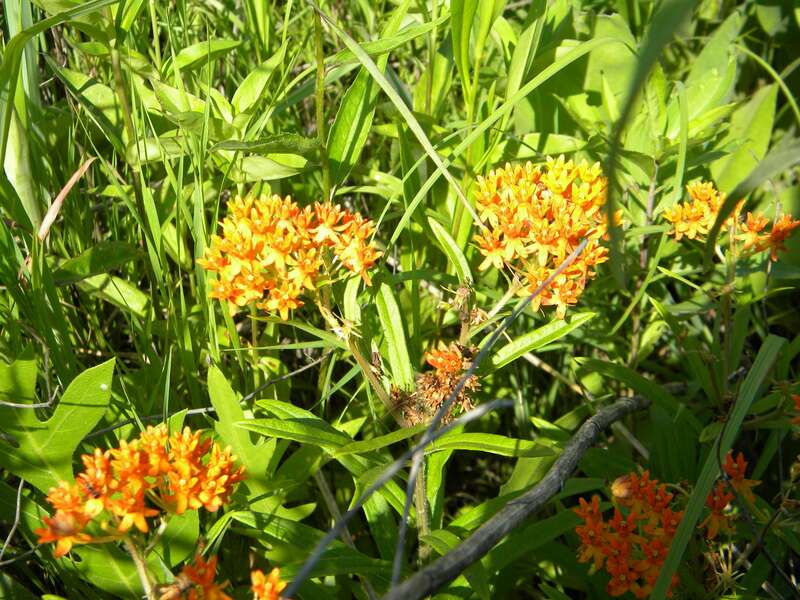 First is the orange-flowered butterfly milkweed (Asclepias tuberosa). 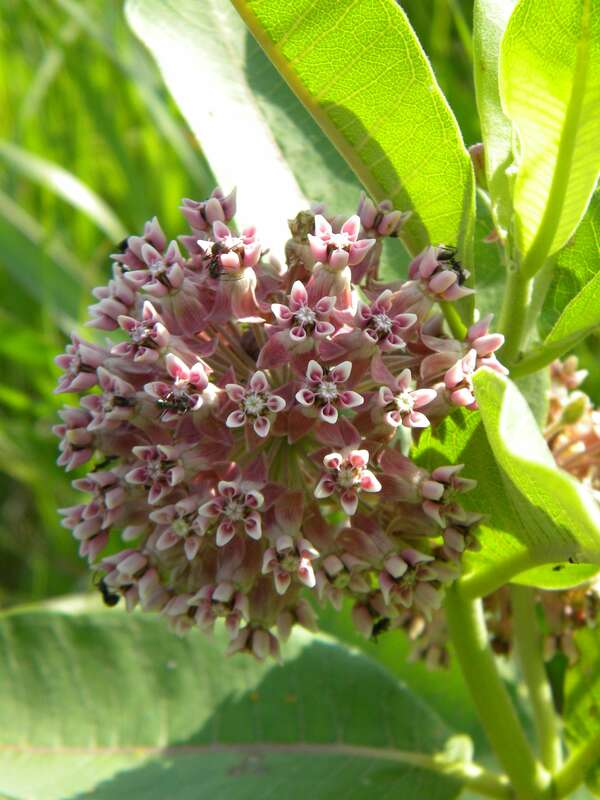 Next is the common milkweed (Asclepias syrica), which has pink and white flower balls at the tops of the plants. Although the milkweeds are much loved by butterflies, none would come and pose for a picture this day. The color yellow is not to be outdone by the pinks and purple on this walk. 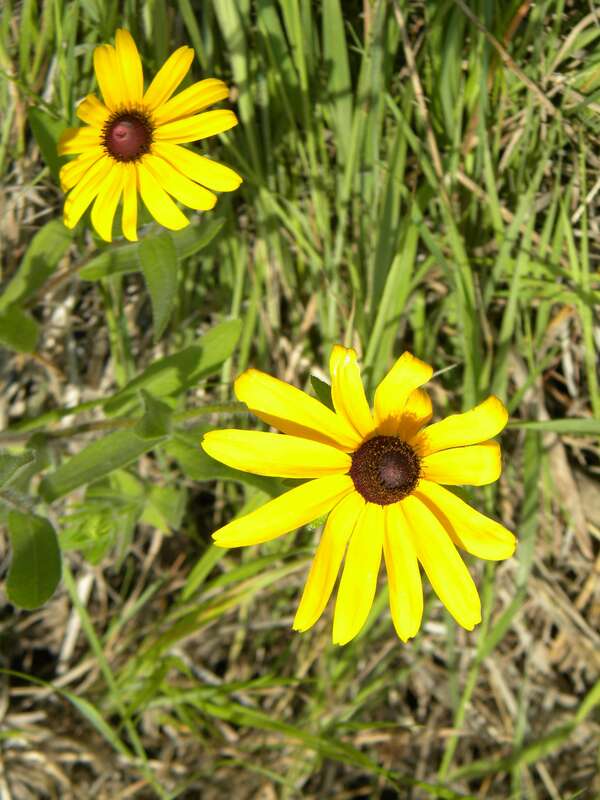 Black-eyed Susans (Rudbeckia serotina) are found here and there in the drier parts of the prairie — their brown center discs like dark eyes looking out from among the sunny petals. 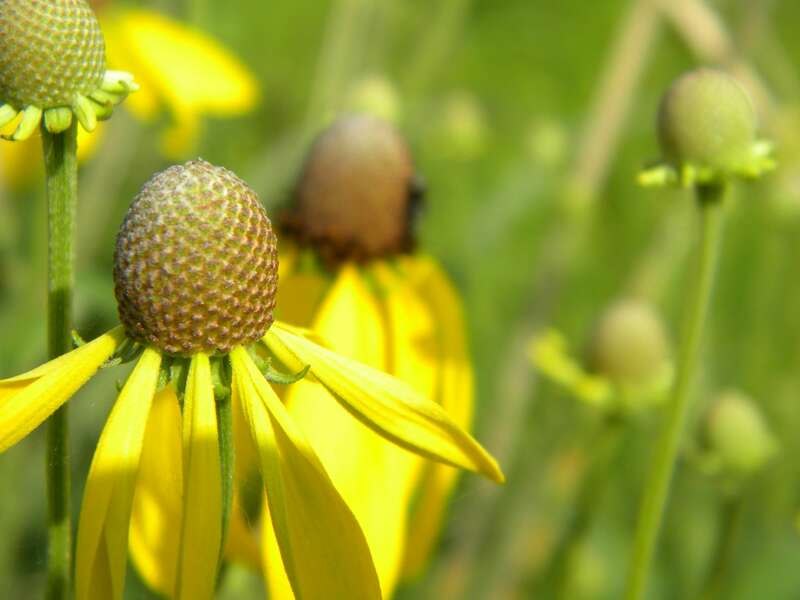 And yellow coneflowers (Ratidibida pinnata) are just starting to send out their yellow petals from their gray/brown central cones. 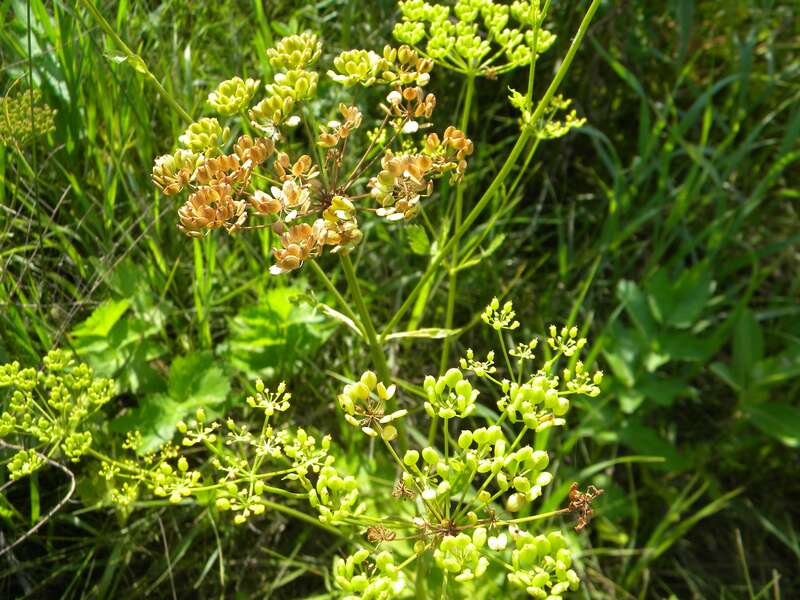 The flowers of the golden Alexanders, so prevalent in last month’s prairie, are all but gone, and seeds are starting to ripen and turn brown. 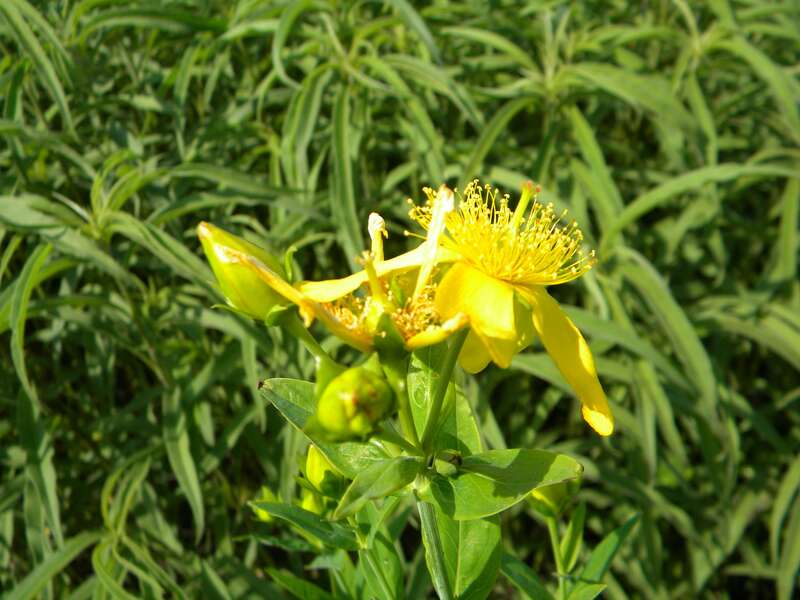 The spotted St. John’s (Hypericum punctatum) is just starting to open its half-inch yellow flowers with their numerous stamens that give the flower’s center a whimsical, fairyland look. 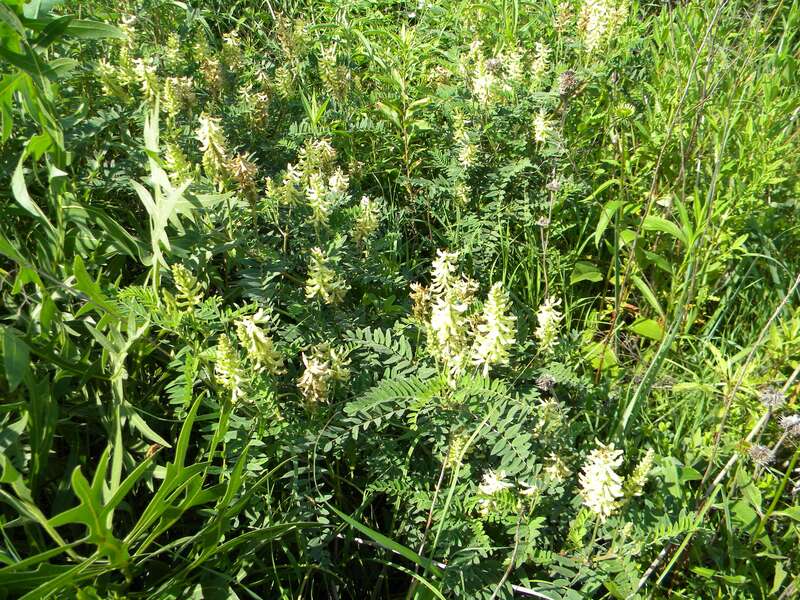 Canadian milk vetch (Astragalus canadensis), a legume that helps add nitrogen to prairie soil, grows here and there in small dense colonies, its white flowered spikes easily hidden by surrounding plants. 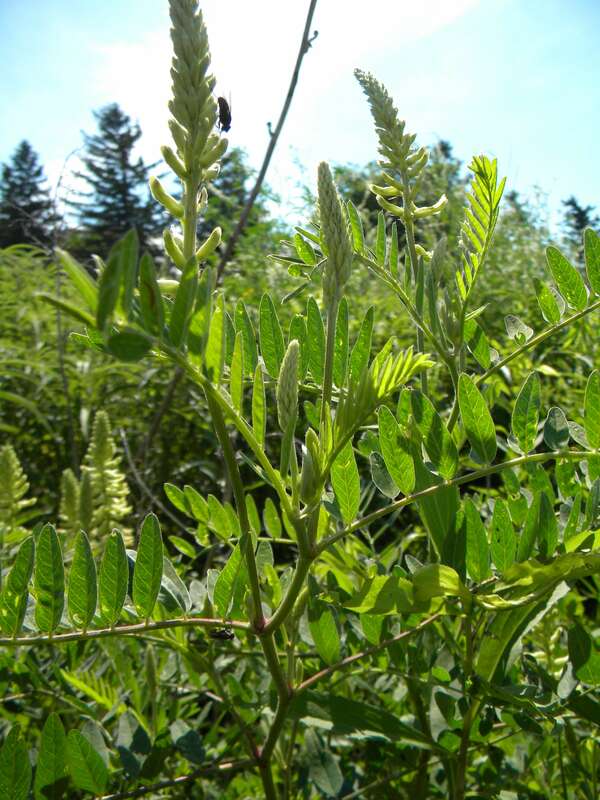 Another plant with spikes of white flowers is prairie false indigo (Baptisia leucantha). The inch-long, pea-like flowers open first at the bottom of the foot-long stalk. Along the prairie edges, I find a few yarrow plants (Achillea millefolium) with their white clusters of flowers atop finely divided foliage. 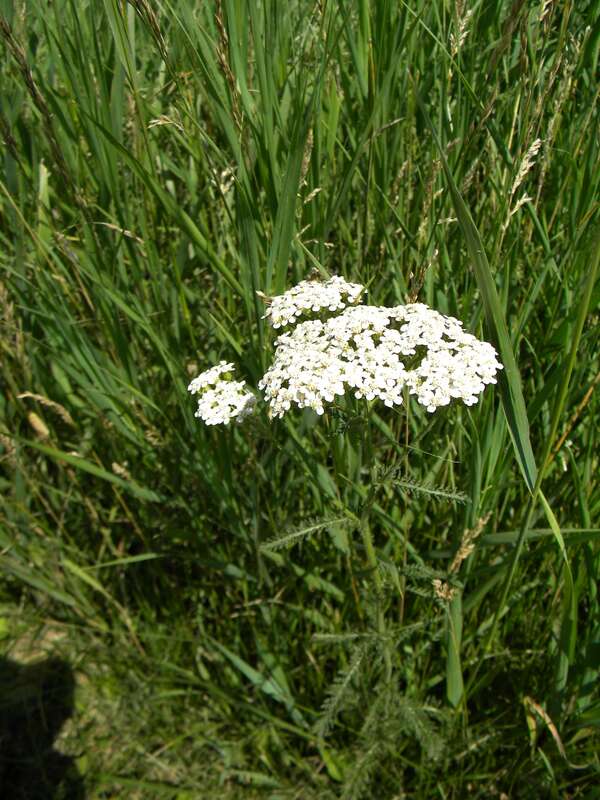 While not planted as part of the prairie, yarrow grows wild in old pastures and waste areas and has found its way along the prairie edge where there is plenty of sun. 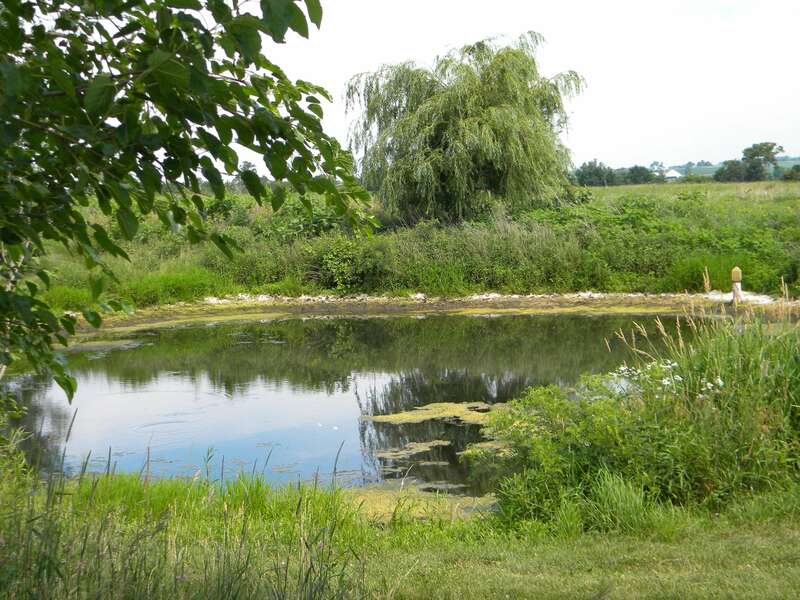 A stroll over to the small wildlife pond at the edge of the prairie reveals that the recent hot weather lowered the water level several feet. 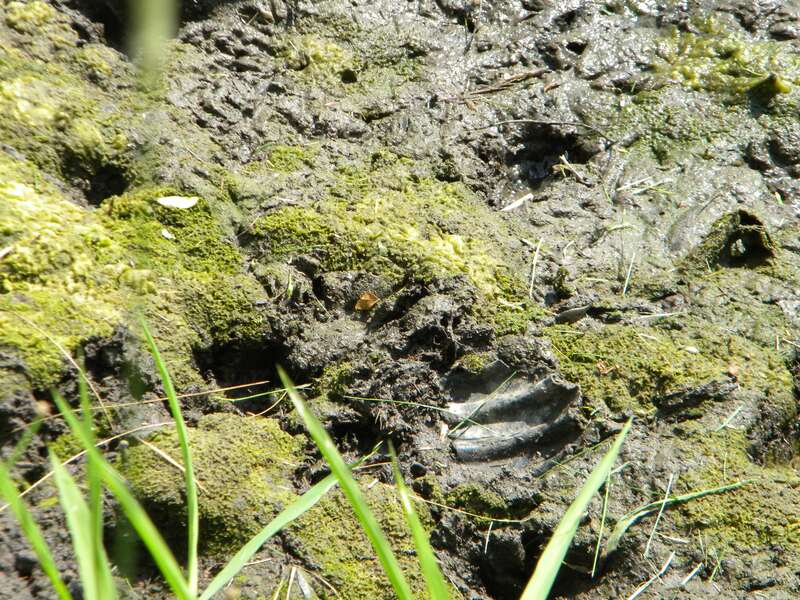 The track-covered muddy banks now exposed are proof of the pond’s value to the wildlife living in and near the prairie. When the sun goes down later, the night will be filled with the singing of the frogs that make their home there. Enjoy Kathy’s previous prairie visit. And here’s our food feature on Cobblers, Crisps & Pies as Summer Fruit Treats. 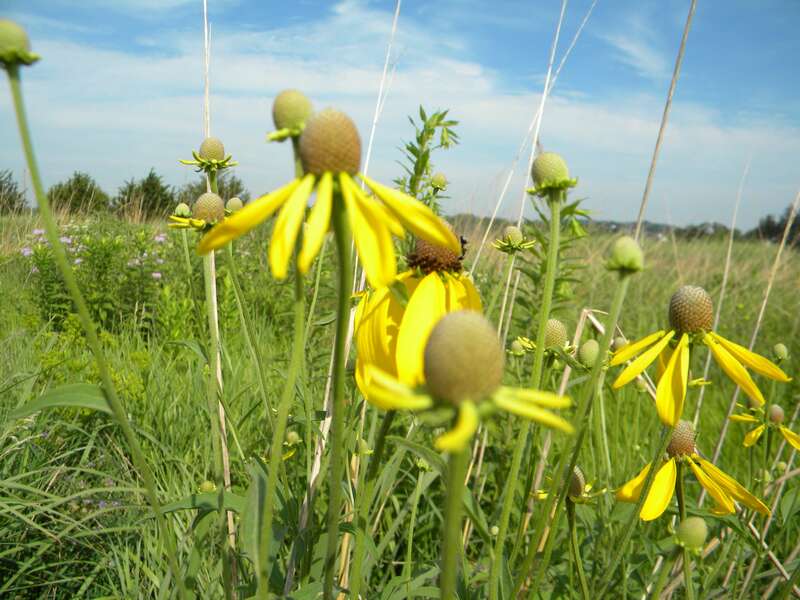 This entry was posted in At the source, Sustainability and tagged employee benefits, Frontier, Iowa, Kathy Larson, natural living, Norway, photos, Sustainability, tallgrass prairie by Cayenne Room. Bookmark the permalink. Beautiful! It’s so nice to see echinacea growing in the prarie.